Des O’Connor creates Women Business Experts – with coaching, consulting, and advanced marketing strategies to help them build a brand and expand their business. 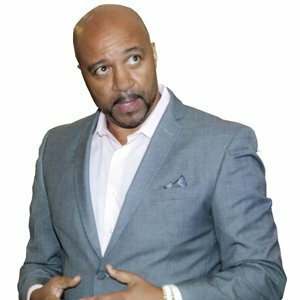 In this presentation, Des will discuss his proven method and specific process that anyone can follow to Become a Recognised Expert in 90 Days – with a series of steps and actionable business advice on how to identify and create your business niche, how to sell your expertise, how to build an audience for your brand, how to find opportunities for public speaking, and much more! Public speaking is one of the most important components of becoming a recognised expert. Des will explain why public speaking is so important to building your career, and how you can get started by speaking on stage at our next event – or even by speaking abroad at international conferences, retreats, and other professional events! Caroline Heward “The Harley Street Stress Expert”. Specialist in relationship and intimacy issues for professional couples and individuals. Achieving massive results for clients suffering from stress, anxiety and depression. Conducts break-through sessions for her clients. 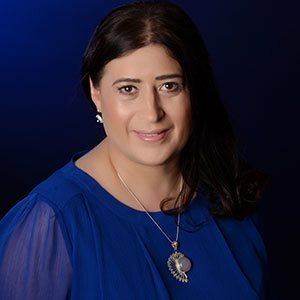 Caroline provides her private and corporate clients with FAST solutions for stress and identifies the root cause for specific stress related issues which manifest in the body physically, emotionally, mentally and behaviourally. Caroline, “The Harley Street Stress Expert” and Intimacy Mentor and Educator. She achieves powerful results for her clients, which directly impact their relationships, careers, working life and the business bottom line. Profound results for clients suffering from bereavement issues. Caroline has over 16 years of management, sales and networking experience. She is an Expert in “Networking Psychology” and a passionate and inspiring speaker. She is a chartered marketer and was Vice Chairman for the Chartered Institute of Marketing, London Branch in 2002. Caroline managed the Flagship 1230 TWC ladies monthly lunch networking group in Mayfair in 2005 for four years. And chaired the weekly BRX Bond Street Breakfast Group, in 2005 taking it to become the flagship group of the national organisation – with a waiting list to join! Caroline was a wellbeing columnist for “Brand New You”, a nationally distributed magazine in 2007 and regularly interviewed on satellite radio and TV. Caroline is a Certified Trainer and an expert in behavioural change, the psychology of human behaviour and communication. She is a licenced Avatar Master. Caroline is also a Chartered Marketer, graduating in 1995. Caroline’s background in health and wellbeing started in 1988 when she joined the pioneering Holland & Barrett health food chain, at the beginning of the healthy living revolution as a manager, turning the worst performing store, to become top store of the national company. Manjit born in Kenya – continued her further studies in UK and 4 other continents in Wholistic Medicine. Now as a skilled and qualified practitioner in 11 therapies, has helped thousands of patients recover from a whole host of illnesses and life threatening illnesses when NHS had given no hope for patients other than surgery or chemo. Manjit has also been very successful in helping couples to conceive with 90% success for women with PCOS or history of infertility in both male and females. With charity very close to Manjit’s heart, she put large funds in a mammoth water irrigation project with the Bantu Tribe in Meru, Kenya. A life spent in attainting the “knowledge of Wholistic and Natural Medicine. 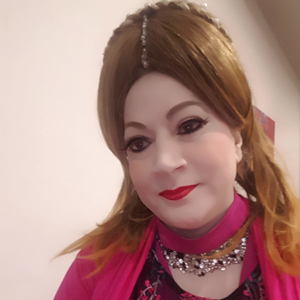 After running over 2 decades of her 5 Clinics, Dr Manjit Kaur is now inspiring, training, Coaching, and teaching people, “Practitioners and Entrepreneurs” how to live and practice a happy and harmonious life. Kelly Teasdale is an award-winning global marketing expert, business growth coach and founder of Market My Product Ltd, a marketing coaching and consulting company for small businesses. After graduating from Cardiff University with a First-Class Honours Degree in English Literature, an MA in English Literature and a Postgraduate Diploma in Public Relations, Kelly began her career in London. For over 18 years, she has worked in prominent global marketing agencies in London, Barcelona, Brussels, Paris and New York and has consulted for some of the world’s best brands and businesses, including: Coca-Cola, Samsung and Johnson & Johnson. In recent years, Kelly has worked with thousands of SMEs, as well as several well-loved British brands, becoming one of the most renowned business growth coaches in the UK. 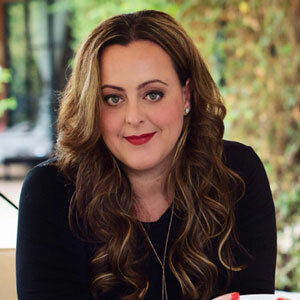 Kelly speaks at events world-wide and has been the recipient of several prestigious awards, including Top 29 Under 29 (PR Week), Young Achiever of the Year (Communique) and the Gold Quill Award for International Communications (IABC). Sharon Callix is the Number 1 social media expert in the UK and an award-winning social media coach (named Social Media Coach of the Year by the Association of Professional Coaches, Trainers and Consultants). Sharon helps companies and entrepreneurs get bigger audiences on social media, become an authority in their niche, and learn how to make money using social media without having to spend money on advertising. 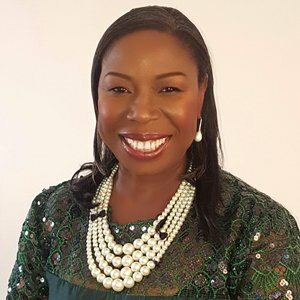 She also offers bespoke consulting services to clients which involves personal training as well as social media management, and provides mentorship to start ups to guide them on their journey by assuring them with coaching and techniques. Sharon Callix is fully accredited and endorsed by the Association of Professional Coaches, Trainers and Consultants (APCTC), the UK’s leading professional organisation for the coaching, training and consulting industry. She provides consulting services for all social media platforms: Facebook, Twitter, and LinkedIn. She has been featured on Sky News as an expert commentator on how to handle abuse on social media, and her clients include the Mayor of London, NHS, BBC, ITV, Ascot, airlines, newspapers, solo entrepreneurs, start-ups, speakers and coaches such as Paul McKenna, Richard Bandler, and more. Sharon also speaks at many events across the world and has toured the UK sharing trade secrets and training others on how to be “social proof” and stay in line with the guidelines of social media. Sharon was recently nominated Speaker of The Year by the APCTC and was selected as a finalist/runner up. Sharon is a platinum expert for Ezine Articles and a widely read author who blogs on various platforms about the latest news and updates in social media. 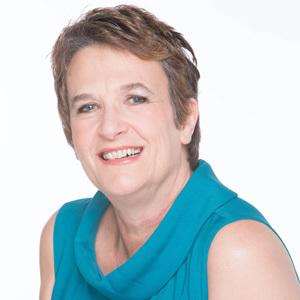 Sue Ritchie is passionate about helping stressed out female entrepreneurs and professionals that are busting a gut to rebalance, revitalise and re-focus their life whilst boosting their success. Sue has had a dynamic career in corporate marketing before becoming the owner of a successful direct marketing business for 17 years before starting her current coaching business. Sue’s previous life involved working long hours under high levels of stress. Like many women, Sue felt she was putting everyone else first in her life, including work. She was constantly pushing herself to the limit, trying to fit everything in, thinking her body would somehow keep going regardless. However, things came to a head 7 years ago when Sue found herself unhealthy, overweight, and with low energy. A diagnosis of Hashimoto’s disease resulted in her doctor telling her that she would be on medication for the rest of her life. All of this had a huge impact not only on the success of her business, but also on her personal life. Unwilling to accept the prognosis of living a compromised life, Sue was spurred into action to take responsibility for her own health, and to make some big life changes. She made a conscious decision to create a better work life balance, taking time out to focus on healing herself. Consequently, she had one of the most successful years in her business doubling her revenue and profit! Sue’s expert opinion is often sought after on radio and TV shows. She also has her articles published in magazines and regularly speaks at events. As well as being the author of the award winning book Love your Gut and co-author of a further five books, Sue has just launched her own show on Venus Health Radio. Her loves include music, cookery, travel, personal development and socialising. Sue lives in Leicestershire with her husband and takes great pride in her grown up son and daughter, not to mention her well-loved crazy cat Bella. Margaret Thorli is a successful mumpreneur, CEO, author, public speaker, trainer and career mentor for single women and lone parents. As a business owner and executive coach, she creates and facilitates life-learning workshops and seminars to advise individuals such as single fathers and young people about freelancing, employment, starting a business and business support. In addition to efficiently obtaining start-up finances for new, established entrepreneurs. Her aim is to educate, inspire and empower 20,000 single women seeking a relationship and those raising children alone to discover their underlying potential to achieve the lifestyle that they’ve always envisioned. With topics varying from business to effectively guiding kids and budgeting, she will work in partnership with them to boldly walk in the fullness of their destiny without restrictions. Empowering Single Women and Parents. 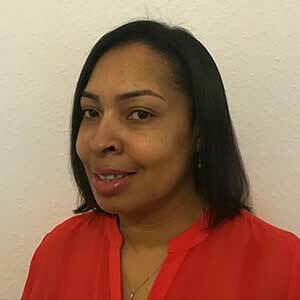 Alarine McLawrence is a relationship coach for singles and couples, based in London, UK and serving clients worldwide. Her proven methods for relationship coaching help singles find the love of their life while improving their dating strategies, self-confidence and communication skills. She also offers couples relationship coaching to help couples improve their communication, recognise and adjust to negative patterns of behaviour, strengthen their bonds, and help them build a solid foundation for love to last a lifetime. 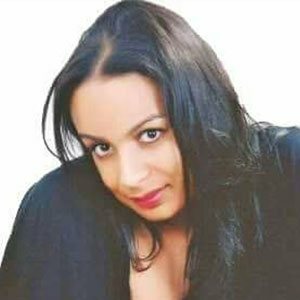 Alarine McLawrence is the dating relationship coach for singles and couples that can help you find the love of your life…and make your love last a lifetime.